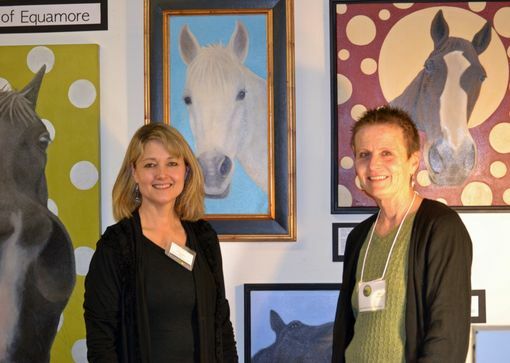 This horse painting ("Wishes") is part of my Equamore Horse Series, celebrating National Horse Protection Day 2013, at the Ashland Art Center. 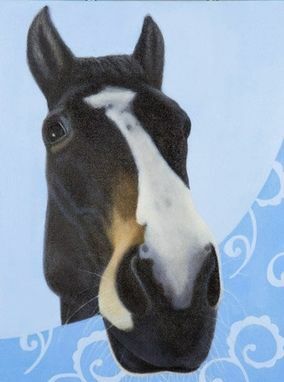 It is one of seven horses that I painted from our local horse sanctuary. This original art would look beautiful in a bedroom or powder room. It is currently on exhibit at the art center and is available for shipment on April 1. 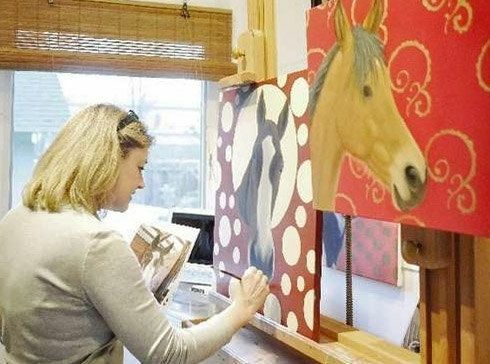 Ten percent of the sales price will be donated to Equamore Horse Sanctuary in Ashland, OR, to assist with horse care and rescue. * Shipping is an estimate. Anything over $1 over the cost of shipping and packaging will be refunded. Equamore is a non-profit horse rescue and sanctuary in Southern Oregon, approximately 5 miles from the downtown area of Ashland. There are currently 44 rescue horses being cared for at Equamore, along with 6 privately boarded horses. It is a beautiful place with wonderful volunteers, and the need for funds continues to grow due to the economic situation of some horse owners. If you are traveling to Ashland, you should definitely take a tour at Equamore and see all the wonderful horses they have rescued and rehabilitated back to health.